Burn Reconstruction: When it comes to burn surgery, there are two main categories: acute and reconstructive. Acute burn care occurs immediately after the injury. A team or trauma surgeons that specialize in acute burn care oversee the delivery of this. If the burn is complex, it often requires a consultation with plastic surgeons, who can assist in both the impatient and outpatient management of these cases. Large burns/burns of critical body areas should be treated at a verified burn center. If the burn is smaller, it can be treated with outpatient options. After the initial wounds have healed, some patients may need reconstructive burn surgery. This type of care can be provided at Executive Plastic Surgeon. When it comes to reconstructive burn surgery, improving the function and appearance of burn scars are the main goals. This involves altering scar tissue, with a combination of both non-invasive and operative treatments. Some non-operative therapies might include scar massage or pressure garments. Surgical possibilities involve scar release procedures. This is where the tight scar tissue is released, and the exposed areas are closed. A patient and their reconstructive burn surgeon will usually have a longstanding relationship. Scar tissue treatments often take a few months to be effective. Unfortunately, fresh scar contractures can appear later. This is especially true in younger patients who are still growing and whose skin is still developing. Aside from aesthetic concerns, scarring can impede the normal motion of the neck, shoulders, hands, or legs. Surgery will not remove a patient’s burn scars completely, but it will help advance basic functions and make wounds less visible. You may need surgical treatment to help release taut skin which can help a patient recoup their range of motion. The initial step is to plan a private consultation. Communication is vital for the success of your therapies. From there, you will be able to clarify the outcomes you’d like to see. When preparing for surgery for a burn patient, Dr. Shaher Khan MD must contemplate the patient’s primary grievance. • What tissues are left? • What sort of donor sites are available? • Are immature scars or an increasing deformity present? • Is an urgent or essential procedure required? • Is the need for pressure garments and/or occupational and physical therapy indicated? • Is the deformity stable? • Provide a complete medical history. • Be sure to talk to your surgeon about all medications you are taking. • Expect the doctor to conduct a complete physical examination. Final modification of burn scarring should usually be deferred for a year (or longer) after the scars heal. This is because scars will mature over time and many do not require surgery. What Are The Burn Reconstruction Surgeries? 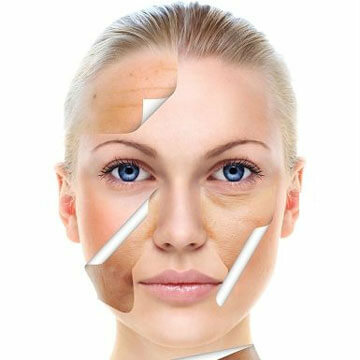 * Skin grafts: involves taking away skin from one area of the body and relocating it to a different part of the body. Performed in a hospital, most skin grafts are done by means of general anesthesia. * Skin rearrangement: sometimes called Z-plasty; a Z-shaped incision releases tightness in scar tissue. * Tissue expansion: The body grows extra skin around a silicone balloon expander, which is put in under the skin and gradually filled with saline or carbon dioxide over time. This triggers skin stretching and growth. Burn reconstructive surgery has advanced in recent decades, and the first approach is normally the use of local or regional skin flaps. Burnt tissue generally has a high propensity for congestion, ischemia, and necrosis but the damaged skin can be used as a dependable flap if care is taken. If you have a skin graft, you will have two areas of your body to monitor for healing. The burnt area with the new skin as well as the donor site where skin was taken. For full-thickness skin grafts, the donor site is simply stitched together. However, for split-thickness skin grafts, the wound heals by reepithelialization (in which epithelial cells travel from the remnants of the underlying dermis across the wound bed). Donor sites normally take 7-10 days to heal and typically progress through two dissimilar stages of healing. The first is the wet phase, when the site is managed with a permeable bandage. The next phase is the dry phase where the wound bed dries out. A non-adherent dressing is essential for this phase. After the surgery, Dr. Khan will provide thorough and comprehensive post-surgery instructions. Following these instructions will be important to your healing. If you want the best possible outcome, please follow the directions you are given. Your individual postoperative instructions will vary. You will have follow up appointments in order to assess long-term results and answer any questions or concerns you may have, since a variety of procedures can be performed. In general, skin grafts necessitate a “bolster” dressing. These are meant to keep the grafts in place for 3-5 days and will aid the skin graft in “sticking” to the wound, which will begin the process of healing. Smaller operations will likely necessitate only a small, lax dressing. Follow-ups are arranged within two weeks of the operation, and there may be stitches to remove. Additional therapies involving splints or casts may be required in the weeks and months subsequent surgery. To ensure a complete recovery of function, you may even be given exercises to perform at home. * Has skin damage (from radiation and for other reasons). * Has reduced circulation at the location of the operation. * Has HIV or an otherwise weakened immune system. * Has poor dietary habits. If you are a burn patient, you have likely already been through a lot of medical care and met many physicians. You may be discouraged or feel let down by the process of healing. There is no way to remove all scarring but there is much that can be done to improve both the look and function of your skin.